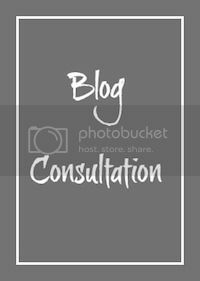 Blog Consultation: NEW!! Stuck in a blog funk? New to the blogging world? Interested in changing things up, but not sure what direction to take? Choose one of the following options and we'll take your blog to the next level. Option A- Starting a blog: If you're new to the blogging world and need help kickstarting your site, this is the option for you. We'll talk beginning strategies, niches, tips, and how-tos. This option is for a 1-hour consultation via phone, person, or Skype. Option B- Starting a blog plus a follow up: This includes everything in Option A plus a 3 month and a 6 month follow up on progress. We'll go over any questions and concerns you might have. Option C- Assessment: It's very helpful to have a fresh eye look at your blog and social media accounts to see where things need to be spruced up or changed up a bit. This option is for bloggers of all experiences. With this option, I'll spend time reviewing your blog and social media accounts, and will present you with ideas and tweaks in a 30 minute consultation via phone, person, or Skype. Please email me at ashanderson10@gmail.com for prices and more information. Sidebar Ad: Available to blogs/stores that are relevant to this blog and its readers. Ads run for 30 days, and will be sized at 200x200. Product Placement: Clothing and/or accessories that fit my personal style will be incorporated into an outfit post. All clothing/accessories will be listed as a c/o and will be linked directly to your site. Product Review: Finding new products and shops is so much fun. If you have a product you would like to advertise, and it fits with my interests, I would love to introduce my readers to it. Giveaway: Great option for shops, boutiques, businesses, etc. You can send me your product to review, and offer the same product to my readers. Customized: I am willing to work with you to customize a sponsorship option just for you! "The support I felt from Ashley during and after my sponsorship of her blog was overwhelming. I have sponsored a few other blogs in the past, but the reward from sponsoring Dancing with Ashley, far exceeded any expectations I had. I received traffic from her page daily and always felt like I could contact her with a comment or question. She is a warm, friendly, and fantastic blogger that knows how to create a mutually successful blogger relationship. Sponsoring, Dancing With Ashley, is a great decision for yourself and your blog." "Sponsoring Dancing with Ashley was an easy decision for me. 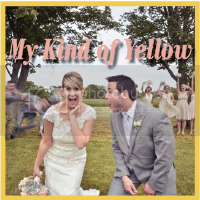 Not only do I love her blog but I love Ashley. Not only did she do everything she said she would and more she provided organic hits for my blog almost everyday. If you are looking for someone to sponsor I would highly recommend Ashley. I will definitely be sponsoring her again!" "Sponsoring Ashley was the best decision I have made for my blog so far. I was just starting out in the blog world, trying to reach my first 100 followers, and very quickly I was well over that mark. Ashley is SO sweet, and will do everything she can to get your blog more traffic. She was so fun to work with and I can't wait to be back again!" "Sponsoring Dancing with Ashley was one of the BEST things I could have done to help my blog grow! She was just what I needed to help get my community going. Ashley was an absolute joy to work with--responsive, attentive and available to help me in any way that she could. She also went above and beyond by frequently posting social media shout-outs every chance she could. Not only did she send readers my way, but she took the time to follow along and comment on my blog regularly. That alone, meant so much! I am beyond happy with all that she did to take care of me as a sponsor and I am so happy with not only my results, but the friendship that came along with it!!!"